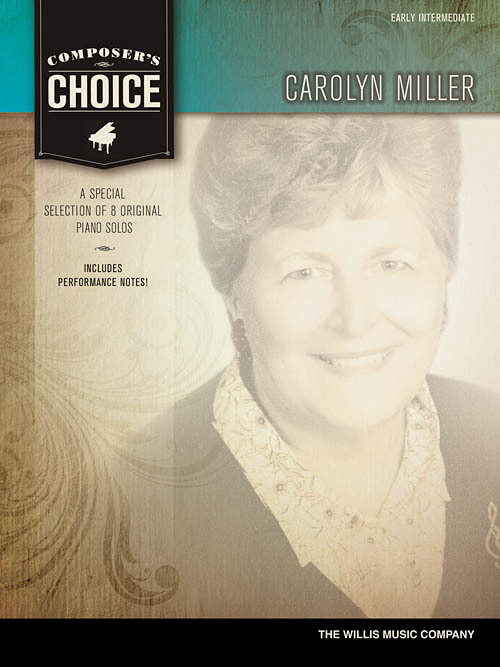 Eight great pieces by Carolyn Miller! This collection features six of Miller's favorite and most popular intermediate compositions, and includes two new pieces composed especially for this collection. Titles: Allison's Song • Little Waltz in E Minor • Reflections • Ripples in the Water • Arpeggio Waltz • Trumpet in the Night • Toccata Semplice • Rhapsody in A Minor.